Slime is all the rage right now but with scary stories of Borax burning kids, we’ve stayed pretty far away. When a friend told me slime could be made from eye contact solution instead, I knew we just had to try it. I wanted to add Crayola Play Sand for an extra sensory experience and the bright colors are just so fun. 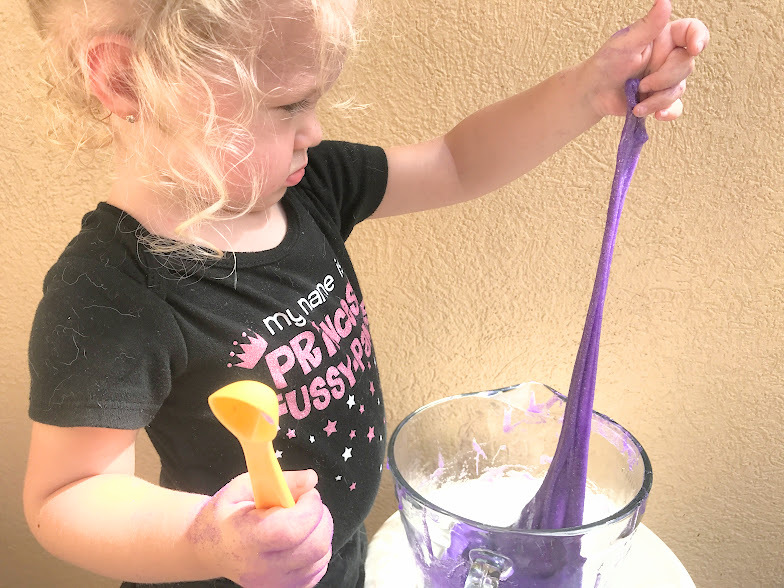 Check out how we made sensory sand slime below. First add the glitter glue and 1/3 cup of Crayola Play Sand into the large mixing bowl. Next add 2 tablespoons of contact solution and 1/2 tablespoon of baking soda. Next mix, mix, mix! Knead the slime until it reaches the desired consistency. Store in an airtight container for future play. 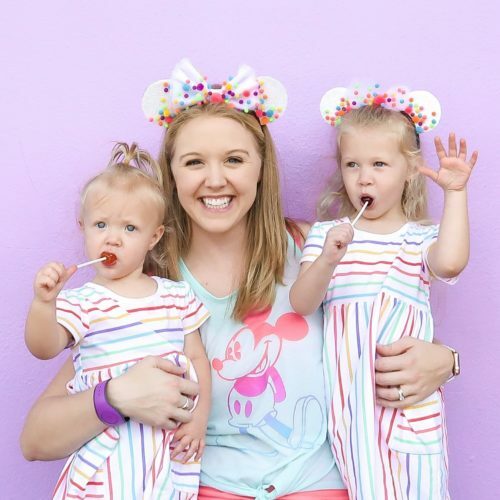 See photos of the steps below! 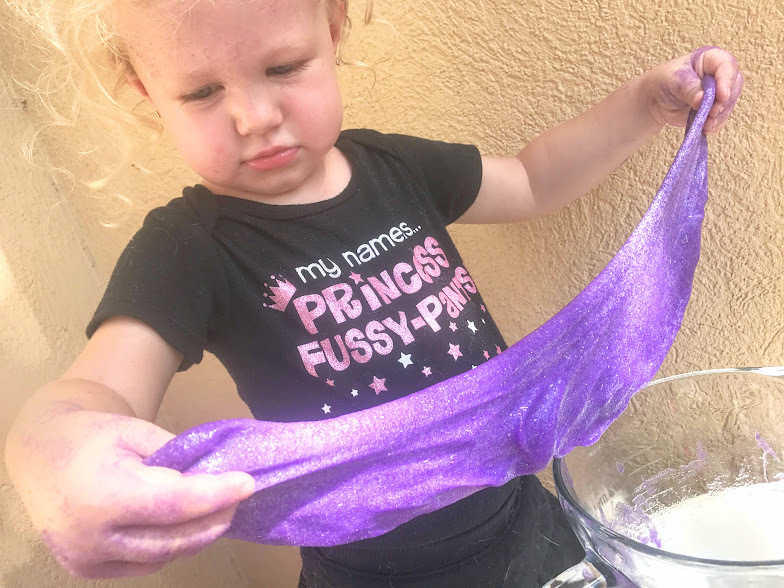 We hope you have fun making your glitter sand slime too! Of course you can always use Crayola Play Sand and a laundry basket for a makeshift sand activity any time ?